Category: Acoustic Absorption, Automotive, Basotect Melamine Foams, Heating & Ventilation, Medical, Noise Reduction, Rail, Thermal Insulation. Application : The excellent acoustic absorption qualities and high thermal insulation characteristics of Basotect® allow the material to be used in a wide variety of applications such as heating ventilation and air conditioning, and wall and ceiling panels for reverberation control in commercial and industrial environments, theatres, halls and recording studios.Basotect® is used extensively in the automotive, aviation, nautical and building industries.Being an excellent thermal insulator, Basotect® is also specified in insulating steam / water pipes insulation and panels in boiler / heating systems.It is an extremely effective material for cleaning and is also sold as a cleaning sponge. Has a constant physical property over a wide temperature range. These properties above enable our customers to use Basotect in an extensive range of applications. 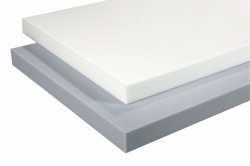 The melamine foam is ideal for use as sound insulation in a building due to its high sound absorption capacity. Using this grade of foam is a great way to inexpensively restore acoustic tolerability to work areas where there is a high level of noise. It is an effective way to acoustically upgrade a room, such as a cinema, office, hotel foyer, school, or gymnasium. The possibilities with this foam product are endless. 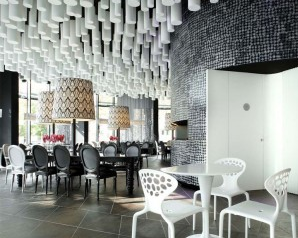 Thanks to its low weight properties, the panels and be suspended from a wall or ceiling with ease. In addition to this, the absence of fibres in this foam results in a workplace that does not pose a burden to its employers. Basotect is not only a fantastic foam to be used acoustically within a building but it is also popular in other sectors such as; construction market, wind tunnels, sound studios, engine test benches and acoustic test chambers. It is thanks to the foams low rigidity that this superb melamine foam is suitable for sound insulation in combination with heavier materials too. We at Custom Foams have worked closely over the years with both large global corporations to small privately own companies, ensuring that their requirements are met to the highest standard possible. 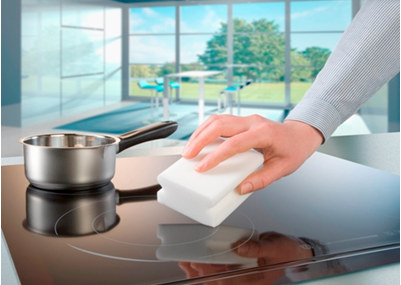 Due to the Basotect V 3012’s outstanding properties it is an ideal foam for use in consumer applications. 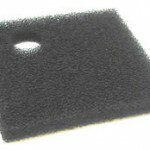 Custom Foams offers this magical product as cleaning sponge. It has been widely proven to combat heavy dirt on smooth and hard surfaces such as glass and ceramic tiles, counter tops, walls and door. The white grade can also be used on leather seats, cleans ovens with ease, shines hubcaps erases dirty marks that other cleaning sponges cannot eradicate. No home should be without the white sponge. It is a fast growing product that has taken people by surprise with its magical cleaning powers. Stains that would otherwise be permanent can be removed with ease. All you need is a little water, no other cleaning chemicals are required which means Custom Foams can offer a more environmentally friendly and cost effective solution for the consumer. So how does it work so well? 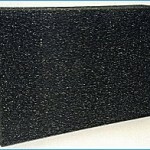 The abrasive melamine foam works like very soft sandpaper. Basotect is hard as glass but its fine cross-linked cell structure provides flexibility and robustness whilst also being highly absorbent (hydrophilic). It is because of this products unique cell structure that differs this from other foams, such as polyurethane or polyethylene foams. Remember, just soak, rub and enjoy a clean and tidy home! If you are interest in this grade of foam and would like to test out its cleaning powers for yourself, please contact our sales office today on 01908 312331 who will be happy to send you a small sample of the cleaning product for you to trial. With a high working temperature range and a Class O Fire Retardancy, this is the ideal product for thermal applications. Custom Foams offers state of the art cutting equipment that can produce unique and complex shapes. Our CNC Horizontal Contour Cutter enables us to produce insulation pipes that have been tried, tested and proven to work time after time. Even the technically demanding thermal insulation projects can be successfully tackles with Basotect because it can withstand very high temperatures and has low flammability. The complete absence of fibres in Basotect is also a major advantage in clean rooms. Other applications where this melamine foam is often used for thermal engineering in buildings include the insulation of hot water tanks and equipment. The cell structure gives the foam flexibility which allows the application of the insulating material over the entire tank wall. In the same way, the chimney effects that are typical of conventional half-shell insulation can be reduced, this reducing energy losses and simplifying the installation. In addition to this it is ideal for use in heating and ventilation, such as air conditioning units. As previously mentioned, the most important advantage of this foam is its excellent sound absorption and safe fire characteristics. It is due to these properties that account for its use in air conditioning and ventilation systems. The inner walls of fan housings are also lined with Basotect to reduce noise levels. Custom Foams believe that Basotect’s unique and powerful performance properties can speak for themselves. However, it is our service, dedicated in-house experts and state of the art cutting technology that set us aside from any other supplier of Basotect Melamine foam. Every order we produce at Custom Foams is cut from scratch, this enables us to offer a unique service to all of our customers and meet our customers’ requirements each and every single time. Custom Foams pride themselves in going the extra mile for all of their customers. 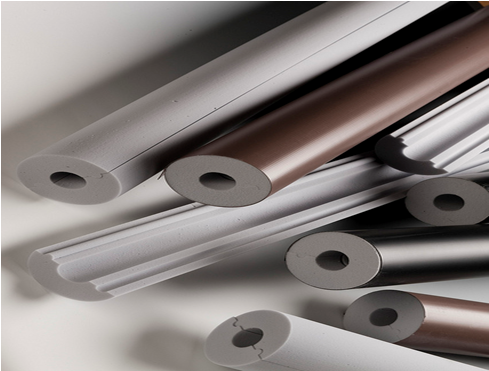 In addition to the foam, we also offer the widest choice of coating and bonding options. We are ready to give you a service you have been waiting for and the products that will bring your business to life. For more information on Basotect or any of our products please call us today on 01908 312331.